Continuous Thermal Decomposition Plant (TDP-2) was commissioned at Vyngapur oil-gas field in July 2014. 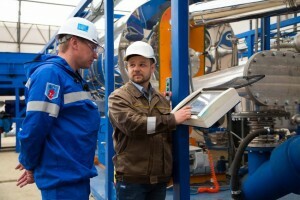 Oil and gas industry key players and decision makers were pleased with equipment performance. The online-version of OIL & GAS EURASIA Magazine (the global leader for the Russian and CIS oil and gas industry) published an article on Thermal Decomposition Plant. Follow the link below to read more in Russian. The implementation of innovative technology was mentioned in article by the portal NEWS OF OUR CITY, dedicated to the most important events of Noyabrsk and Yamal-Nenets Autonomous District. Follow the link below to read more in Russian. 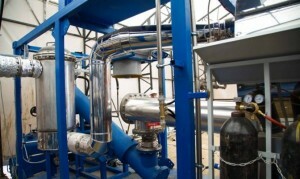 According to stringent legislations obliged oil companies to eliminate the negative environmental impact of their activities pyrolysis technology applied in Continuous Thermal Decomposition Plant UTD-2 became an effective and simple solution for the treatment of hazardous hydrocarbon waste.